While early results appear promising, critics in radiation oncology say longer-term data are needed before widely offering the treatment to men. When Accuray’s CyberKnife Robotic Radiosurgery System was introduced in the 1990s, facilities acquired it mostly as an alternative for treating head, neck, and spinal tumors—tumors that would otherwise be difficult, if not impossible, to reach. In 2001, the FDA cleared the CyberKnife system to treat tumors anywhere in the body. Since then, many facilities are offering it as an alternative treatment for other cancers, including of the lung, breast, liver, and prostate, which is the second leading cancer killer among men. Prostate cancer strikes more than 186,000 men in America each year and kills more than 28,000. CyberKnife treatment—called stereotactic body radiation therapy (SBRT)—is a high-dose radiation treatment. Physicians inject tiny gold fiducial markers into the prostate to help target the beams. The robotic arm swivels around the patient, shooting beams of radiation from multiple angles into the target. Advocates believe SBRT will revolutionize prostate cancer treatment and that it is a better option because less healthy tissue is affected by the treatment; treatment can be completed in four or five days vs. six to eight weeks; and the treatment is just as effective as external beam radiation therapy or seed implants. “I believe that CyberKnife treatment is as good, if not better, than conventional treatments for prostate cancer based on low PSA [prostate-specific antigen] levels and low recurrence that we are seeing today and … that it’s only five days makes it even better,” says Alan Katz, MD, of Flushing Radiation Oncology CyberKnife Center in Flushing, N.Y.
A multicenter study of 41 patients (at UCLA and in Naples, Fla., presented in the January 10 issue of the online journal Radiation Oncology) found 93% of patients treated with the CyberKnife system had no cancer recurrence at a median follow-up of five years. The authors indicated the rate compared favorably with results obtained with other treatment modalities, including surgery and conventional radiation therapy. However, some in the medical community are concerned that finances, not efficacy, is motivating CyberKnife centers to expand the surgery to include prostate cancer treatment, claiming that not enough evidence has been accumulated to show SBRT is even an equivalent treatment. The five-year data that were recently presented are positive, Chodak says, but five years is not long-term and until the long-term data are available, he wouldn’t recommend offering SBRT as an option for patients with prostate cancer, which one man in six will get in his lifetime. Chodak also fears that “money is driving this more than anything else.” Facilities are investing millions in CyberKnife machines and may be expanding to prostate treatments largely to get more use out of them, he says. Katz has treated more than 700 prostate cancer patients with the CyberKnife system—more than anyone else in the world, he says. While he doesn’t have as much five-year data as the authors of the Radiation Oncology study, he has hundreds of patients with four-year data that he presented at the annual American Society of Radiology Oncology (ASTRO) meeting last year. He has been accepted to present his updated data at the ASTRO 2011 meeting in October. PSA levels are important for various reasons, Katz notes. One reason is if a patient’s PSA level goes up, it could prompt additional biopsies and treatments, he says. 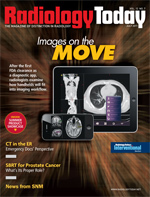 If SBRT can achieve similar results but the treatments require only 45 minutes per day for four or five days—rather than spread over six to eight weeks—that alone makes it a better alternative for men, especially those in their 50s and 60s who are more likely to be working and have less time to devote to the longer course of treatment, Katz says. Katz’s research has shown that about 80% of CyberKnife patients retain sexual potency, which is higher than with other treatments, and that urinary and bowel side effects are also very mild. “These are very important considerations when patients weigh their treatment options,” Katz says. Side effects of radiation treatment can include incontinence, bleeding, problems urinating, and impotence. Katz also says CyberKnife treatment costs less than conventional radiation treatments. So the argument that radiation oncologists are pushing it to make money is hollow, he says. “If treatments are much cheaper, you can’t just let someone say this is about money,” he says. Citing Medicare’s 2011 global number, Katz points out that CyberKnife treatment in a hospital setting averages $21,917, while treatment with IMRT in a hospital costs on average $26,806. Medicare and private insurers in many parts of the country cover the cost of the treatment; however, some insurers have taken a wait-and-see attitude and do not. Dwight Heron, MD, FACRO, chairman of the department of radiation oncology at the University of Pittsburgh Medical Center (UPMC) Shadyside, an early adopter of the CyberKnife system, finds the recently released five-year data for prostate cancer encouraging. Heron says he would like to see seven- to 10-year data on the effectiveness of CyberKnife for prostate cancer, especially because prostate cancer is typically slow growing, but believes the information will eventually come. “I think it’s only a matter of time before that data emerges as well,” he says. If the outcomes are equal, he adds, many men may prefer CyberKnife because it requires only a week of their time. “Lots of men tell me they’re professionals—lawyers or businessmen—and they can’t afford to be away for eight weeks of treatment,” he says. When he presents them with their treatment options, “That’s a conversation we often have.” Also, he says, if the treatment is quicker, it means the side effects of the radiation may resolve more quickly, which is important to many patients, especially those who are still working. However, Chodak, author of the book Winning the Battle Against Prostate Cancer, who recently had a urology practice in Chicago and now spends his winters in Florida and summers in Indiana, believes the five-year data on CyberKnife for prostate cancer are being made to seem better than they are. Chodak provides an example of why short-term outcomes are not reliable predictors of long-term outcomes: A randomized study done in Australia and New Zealand looked at men with early-stage prostate cancer and compared those who were treated with radiation alone with those who had radiation and hormone therapy for three months and those who had radiation and hormone therapy for six months. Chodak says he can see the potential benefits for patients in terms of convenience, as the CyberKnife treatment takes much less time than standard radiotherapy. Still, he says, he’s not convinced the data are there for physicians to be able to tell patients it is a comparable treatment. “Five years of results in a series of 41 patients treated for low-risk disease means very little,” he says. It’s possible, he says, that because prostate cancer is slow growing, many of these men don’t need to be treated at all. Long-term survival is the outcome that matters the most, he says, particularly for men with low-risk prostate cancer. He believes it’s too soon for prostate cancer patients to be offered CyberKnife as a treatment option. Inamdar is also concerned about the financial issues. Some physicians might be presenting CyberKnife as an option for their patients because they’ve invested $5 million in the equipment and can’t afford to have it sit idle, he says. However, Inamdar says the controversy that’s been brewing over the use of CyberKnife for prostate cancer may be out of proportion to its use. While the use of the CyberKnife for prostate cancer has received a lot of media attention recently, its use is not as widespread as the stories make it seem, he explains. Although watchful waiting is an alternative treatment for low-risk cancers, many men want to treat their prostate cancer, Inamdar says. At most radiation therapy facilities, he says breast cancer and prostate cancer are the bread and butter.